Mt. Merapi (2.968 m dpl, 2006) is one of the most active volcano and the most dangerous in Indonesia. Mt. Merapi erupts 2 to 5 times a year. 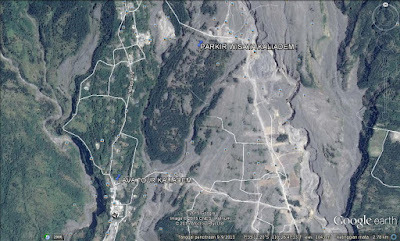 But after 2006's eruption, Mt. 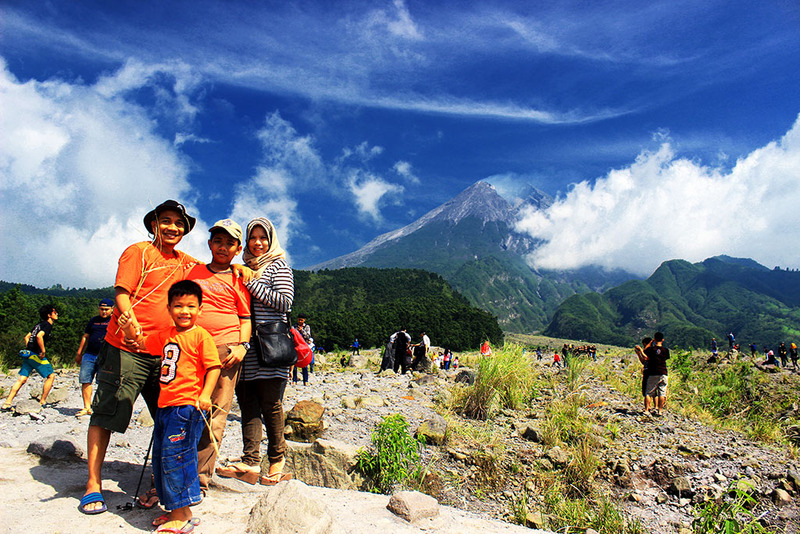 Merapi especially Cangkringan-Sleman, Jogjakarta, become a tourist destination. Tour package to visit Mbah Maridjan's village around Mt. 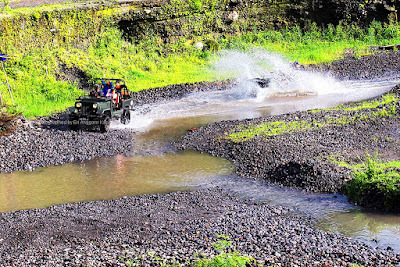 Merapi and look around Kaliadem village called Merapi Lava Tour. 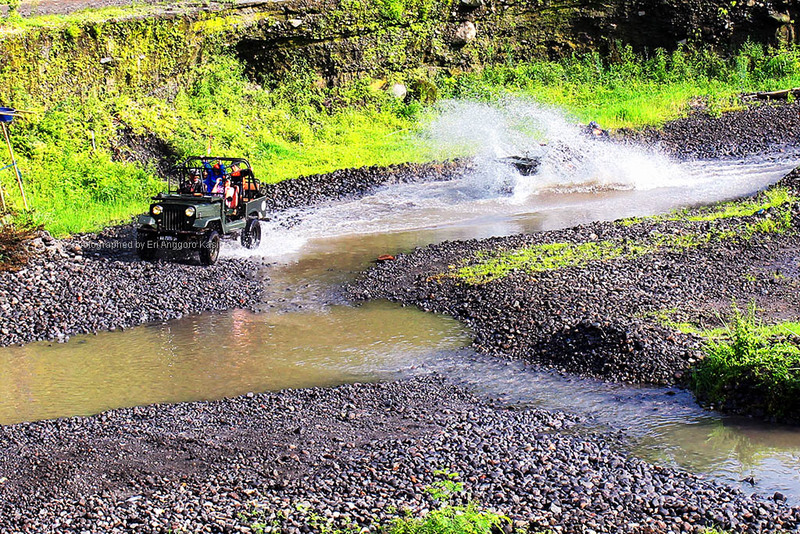 Following Merapi Lava Tour, We can enjoy the beautiful scenery arount Mt. Merapi which always emit solfatara smoke. Riding old jeep Willys, we can get closer to the peak of Mt. Merapi. We can get about 2 km from the peak of Mt. Merapi. At least we have to visit 4 location around Mt. 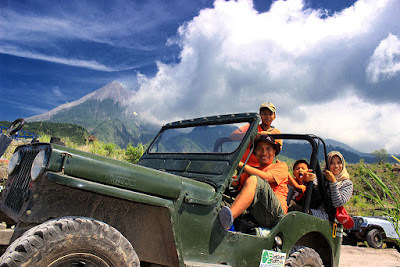 Merapi, ie : Mt. Merapi Museum, Kali Adem village or called Kali Gendol, Bunker, and ruins of Mbah Maridjan's house. The best time to watch Mt. Merapi's peak is about 5 to 8 am in the morning. We can see a beatiful sunrise. And we can get clear sight in the morning before 8 am. Selain dapat menikmati view jernih, juga untuk mengantisipasi atrian naik jeep ketika peak season. Apabila kesiangan, kita harus menunggu 1 hingga 2 jam untuk mendapat giliran. We can book Merapi Lava Tour package from the hotel in Kaliurang. Nothing to worry about the difference of tour cost among tour operator, the tour cost is the same at every tour operator. But if you want to get cheaper cost, we can book tour in Kaliadem (S7.58941 E110.44264). Tour package will cheaper about 50.000 to 100.000 IDR than in Kaliurang. Camera is the most important thing to carry. Campact camera or action camera is the best choice than DSLR camera. 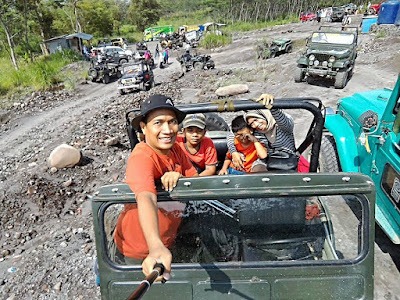 Using action camera, we can selfie or wefie along extreme jeep track. Don't forget to bring tripod or selfie stick (called tongsis) to ease selfie or wefie. Use comfort costume is the best choice. Don't forget to wear sun glasses, hat and mask. Along the track is dusty and direct exposure to sunlight. 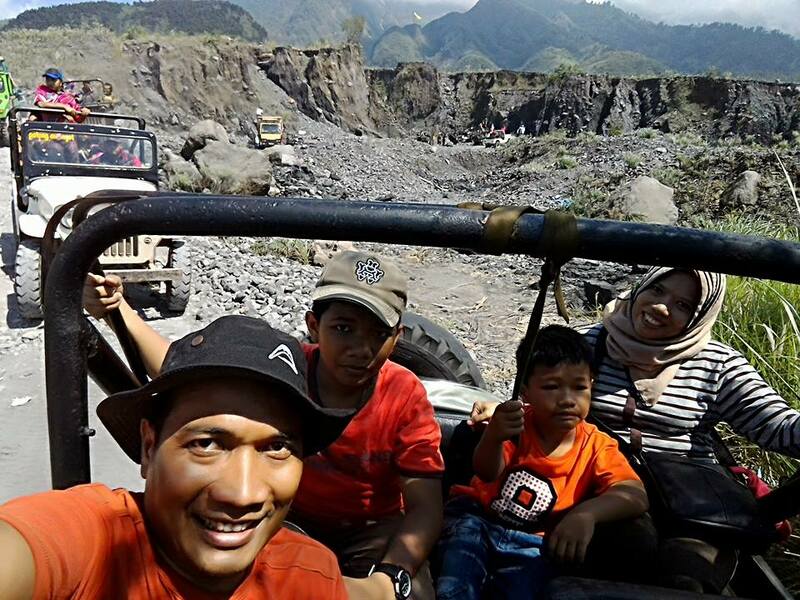 Merapi Lava Tour is about 1,5 to 2 hours. So, don't forget to bring beverage or snack. Enjoy your trip and Merapi Lava Tour.